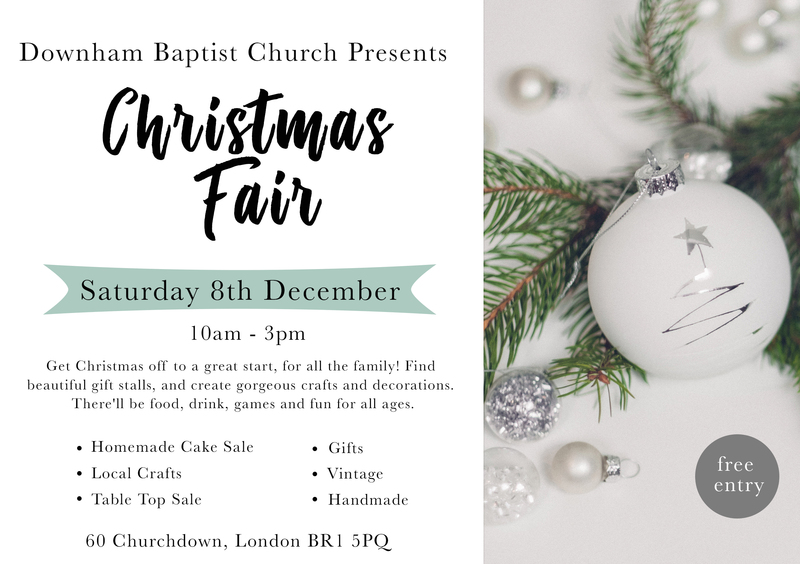 Christmas is around the corner, and at Downham Baptist Church we are holding a Chrismas fair fundraiser! Get Christmas off to a great start for all the family. Find beautiful gifts stalls, table to sale, entertainment and create gorgeous decorations. There’ll be food, drink, games and fun for all ages. So if you want to get your Christmas shopping started or just want to have some fun and fellowship come along! It is on Saturday 8th December 2018 from 10am – 3pm.